September saw Richard Durand launch his latest project through a new label, as well as its debut single, ‘Face Of Chaos’ and a raft of other musical measures and endeavours. 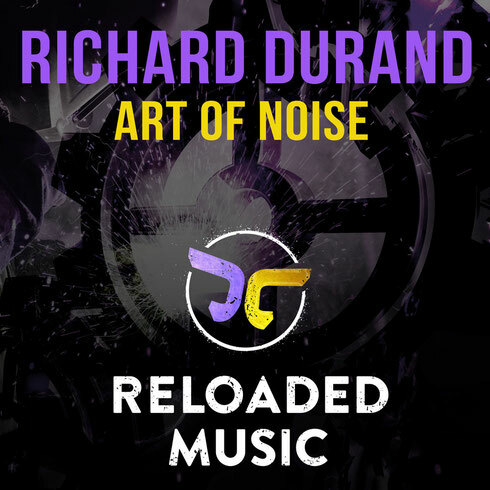 Now, he chambers Reloaded Music’s second round with 'Art Of Noise'. The track has apparently already been sound-checked by key DJs, received props from some of the electronic music press and has been going down well on the dancefloor. Premiered in Katowice, during his Mayday Poland gig in Nov, its debut ‘drop’ was captured in all its arm-uplifting glory for ‘Art Of Noise’s official video. Richard’s latest track comes fully rigged with ripped beats, elevating-tempos and percussion. Its echo chamber FX and polygraph-tense riffs further ramp its atmosphere. The track’s received early club and radio support too. Aly & Fila, Standerwick, Giuseppe Ottavani, Jordan Suckley, Andy Moor, Photographer, Indecent Noise, Paul Oakenfold, James Dymond, Stoneface & Terminal, Mark Sherry and Sean Tyas are just some of those showing support.